The 3 of us returned to Rye, feeling inspired, grateful and excited – Plaristo UK Ltd. The Tradeshow Season is behind us now and the 3 of us returned to the Rye, feeling inspired, grateful and excited. New customers from all corners of the UK ordered our products and so many of our existing customers returned as old friends. We heard heart-warming feedback, shared a lot of laughter and enjoyed the many conversations we had with you all. And now there is an order book full of orders, which will keep us busy for the next months. We hope that our new designs will delight your customers and bring the buzz we experienced at our trade stand, to your shops or websites. For those of you who did not manage to see us or rely on our web-shop for ordering, we look forward to catching up with you soon. We will upload the new products as soon as they are available for shipping. They all have been very well received at the shows. Imminently we will be presenting our new website. The fast, improved server will make your shopping experience less time consuming and new, high resolution images, due to be available for downloading later this year, are designed to help you on your own websites. Thank you for your continued custom, with best wishes for the 2016 retail season. 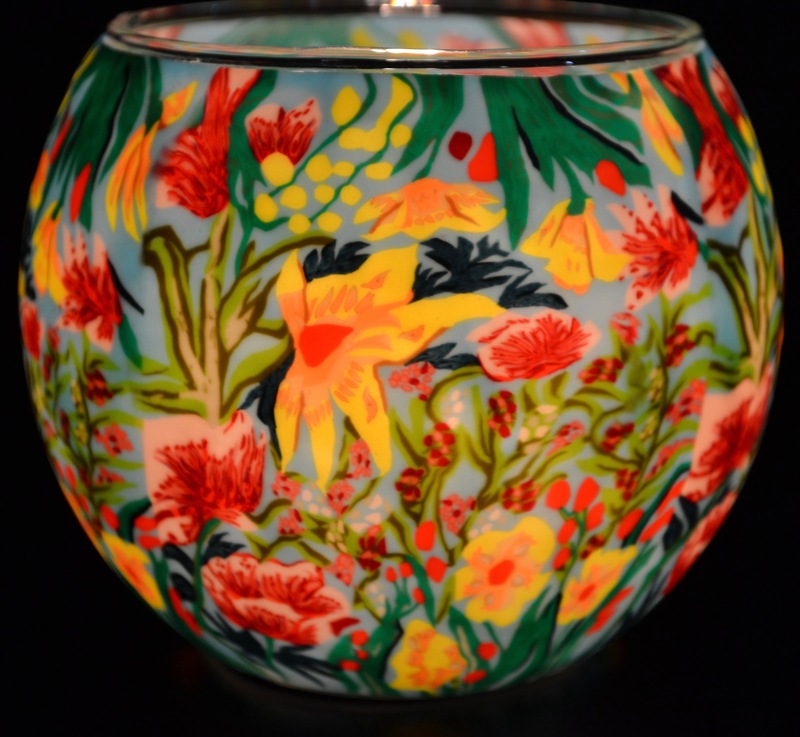 Spring is definitely coming with this beautiful glowing glass as a candle holder or lamp.